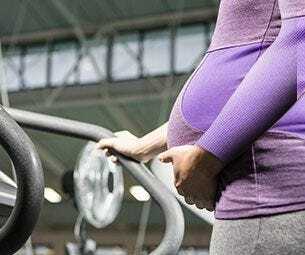 Exercising during the pregnancy period is important, but it must be of the right type. Extreme exercises and contact sports should be avoided. Generally, it is advised to practice 30-45 minutes exercising routine every day. A good range of suitable exercises that help the body stay fit, improves overall health and mood in general, like cycling, jogging, swimming, aerobics, and gentle weight workouts. Exercises that help to burn excess energy and prevent weight gain like Thoracic rotations and pelvic tilts, along with a few cardio workouts. Exercises that help to ease delivery like simple aerobic, stretches and yoga with a focus on the abdomen and pelvis, along with gentle full-body cardio.